Architects increasingly operate on a global scene, and just as numerous British architects have proved highly successful at winning projects abroad, so architects from Europe, the United States and the Far East are making their mark in Britain. One thinks, for example, of Daniel Libeskind’s Imperial War Museum and Tadao Ando’s new square and pavilion project, both in Manchester, or of Frank Gehry’s Cancer Care Centre in Dundee. Well-known British practices such as Future Systems, Alsop Architects and Nicholas Grimshaw & Partners also inevitably feature prominently in the exciting international story of the country’s recent architectural renaissance, but so too do newer, smaller practices, including many based outside the capital. This book engagingly describes and illustrates over 100 outstanding projects, both large and small, floor around Britain–none completed earlier than 2001, and some still under construction or at planning stage. 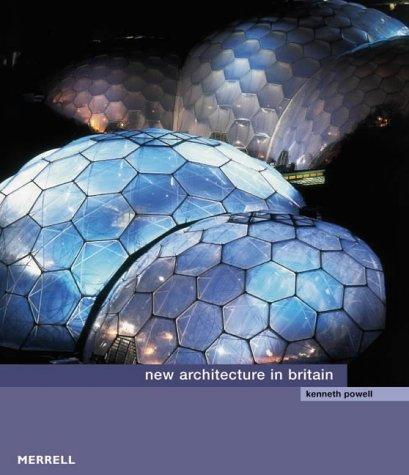 Covering every conceivable building type, from houses, offices and department stores to theatres, heritage sites and museums, this book makes a forceful contribution to the continuing debate about the role of architecture in forging a new environment and underpinning the growth of a healthy society.